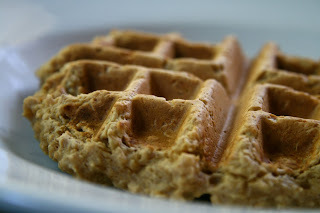 Muddy Running, Peanut Butter Oatmeal Waffles and Jammin To The 80s! I can't complain at all though, I am coming off of an amazing weekend with my men so I'm gonna have to say this is a pretty Marvelous Monday! Tony and I spent most of the day jamming to 80s jams on cassette. Tony and I got an extremely muddy run in on our favorite trail. My poor new running shoes are a mess now. I let them dry and now I need to really try to clean them up some. UGH, they were so pretty! Oh well, hopefully I can get them presentable again. Thank goodness for sunny skies though. 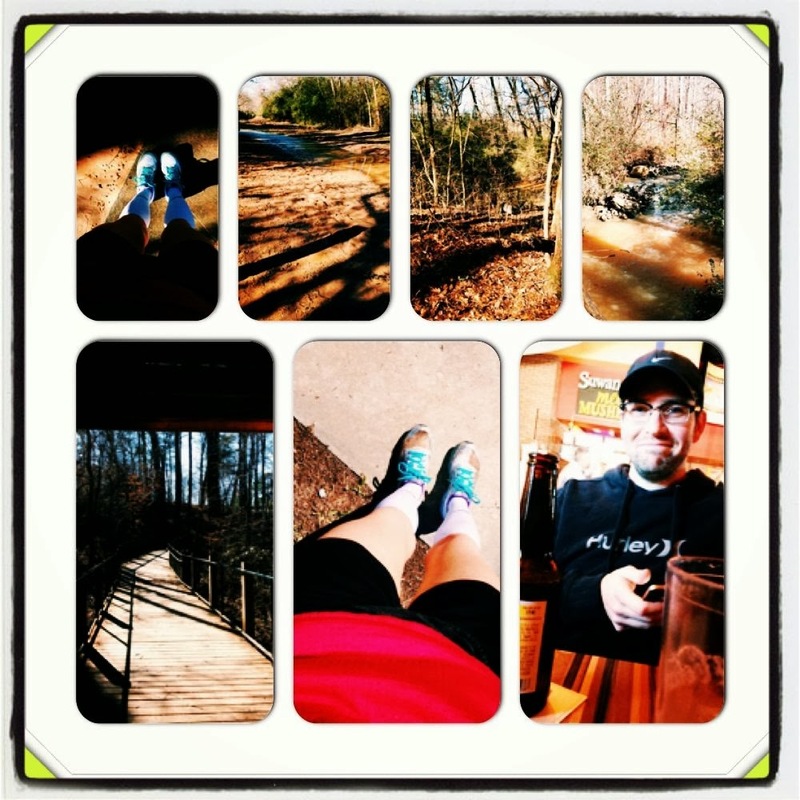 I needed the fresh air, vitamin D and some time with my running buddy. Made for a perfect Sunday followed by us bringing gluten free pizza home for the boys. Lucky for them, the pizza place is at the end of the greenway. I have a busy week ahead of me (and so does Tony), but that's a good thing. Can't complain about having work. I'm so excited things are moving in that direction for me! 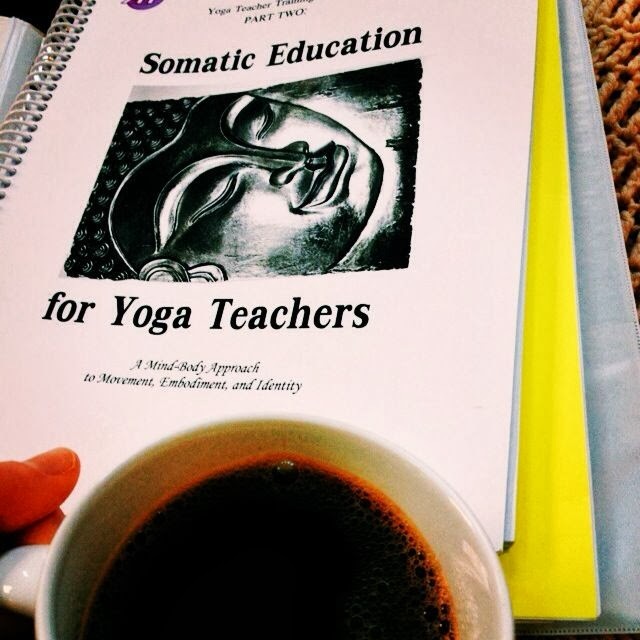 I need to finish up my studying so I can take my exam soon, but I'm really loving everything about my yoga teacher training. I'm really learning so much about myself through this. It feels amazing. I also had to share this picture from dinner last night. 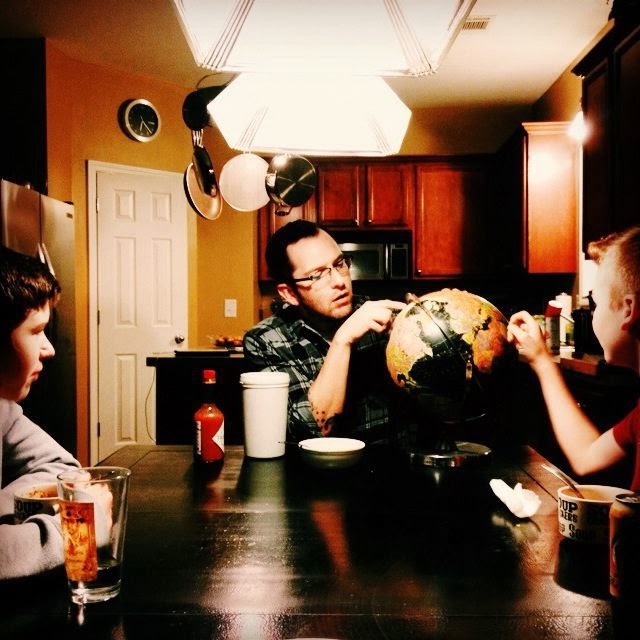 We had a little dinner geography lesson. It cracked me up…gosh how I love these men! I'm also really excited that Meatless Mondays are back! Today is all about oatmeal! My favorite food ever! 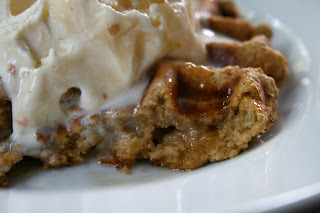 I have written many posts on how much I love oatmeal, but today, I'm going to share an absolute favorite! I LOVE waffles and pancakes, so of course I'm going to put oatmeal in them to make them even better! This recipe works as pancakes or waffles, so don't worry if you don't have a waffle iron. Also, this recipe works as breakfast, lunch, brinner and dessert! A la mode is recommended! It's dense, rich, thick, crunchy and delicious! Can you tell I like them? Mix everything together and cook in a waffle iron (or cook as pancakes). 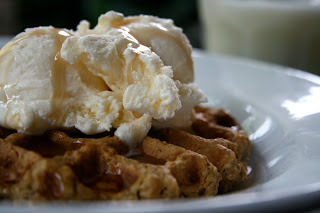 oh I LOVE a good crunchy waffle - I may have to make these this morning! I loved seeing your and Tony's photos this weekend - musical trip down memory lane for sure! I was cracking up at all those cassettes. I had a lot of those too... that was a golden era!!! One day I'm going to break down and buy a waffle maker. That looks so good! Ok, not normall a waffle or pancake girl, but I really need those! So glad you had a nice vitamin D filled weekend!! we love our waffles too!!! yay for yoga training!! something on our personal list to do one day. Yum! Found your blog through the MMAZ link up. So glad I did since I'm lactose-challenged as well. These look delicious! When I was in Utah I went hiking in my new gym shoes...not the smartest idea as I fell into a muddy puddle. 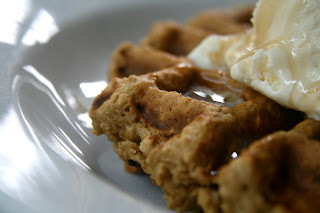 I'm glad you are loving yoga teacher training, and those waffles look fabulous! And I'm that old, too - sounds like an amazing weekend! I love breakfast for dinner! But, sadly, my boys aren't as big a fan. So whenever we have a "free for all" night, I always make breakfast food! 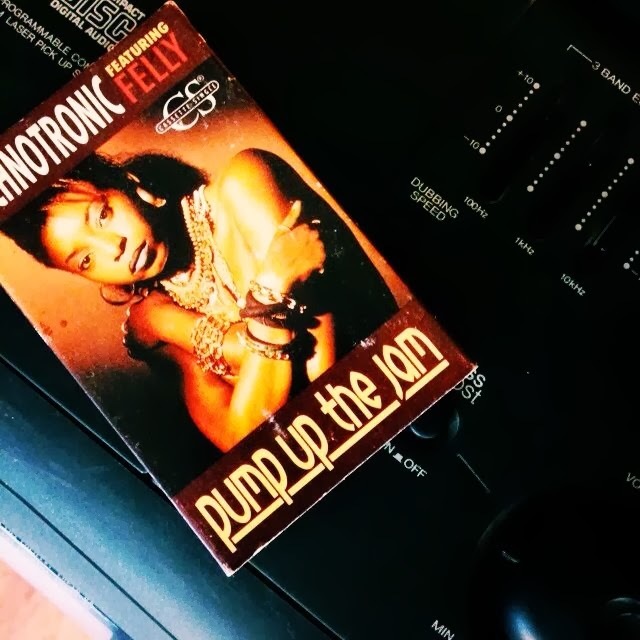 I remember the 80's very well, including Pump Up The Jam (pump it up, a little more, ...dance floor). I like adding oats to muffins. It makes them much more appropriate for breakfast, but still equally delicious. OOOH and we have everything we need to make RIGHT HERE!!! I totally wish I was there sitting with you all eating dinner. Hope you got your shoes clean, isn't that a bummer? :) I miss you friend and these waffles look AMAZING! SO glad you're learning so much with the yoga training. You're going to have to teach me! He he.